One of our top selling kites! 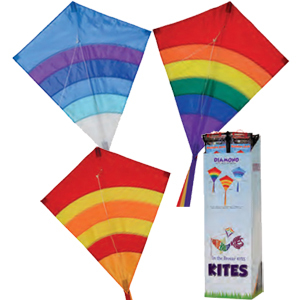 This fun and brightly colored Rainbow Arch, Cool Arch and Hot Arch kites are a great kite for the whole family. It is a stable, easy to fly kite that looks great in the sky.